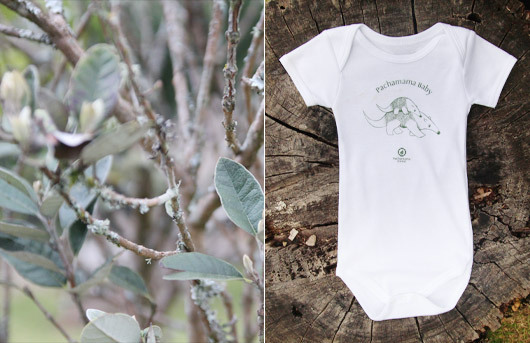 Pachamama Baby – win a baby body! It’s the 100th article of Monita. I’ve been in Bogotá for more than 9 months now and it is all going so fast! I’m really happy about doing this blog, not only to show the beautiful things of Colombia to the rest of the world but also Monita in Bogotá allowed me to meet a lot of amazing and creative people and discover the city/country with another eye. I’m also glad that it helped my own creativity and gave me access to a lot of projects. I wanted to do something special for this post. 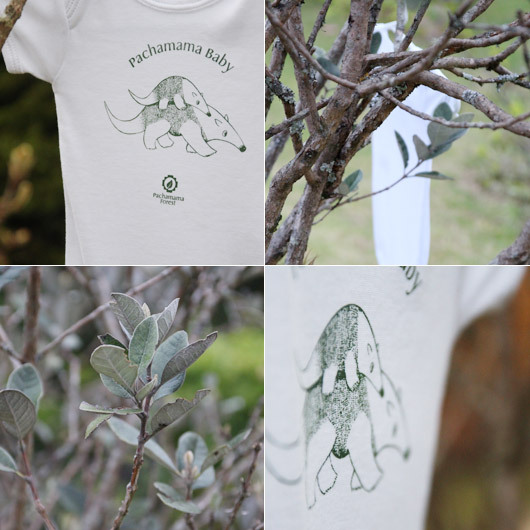 Pachamama Forest has opened a new brand of clothing. With only one thing in mind: make people participate to the project. The first product we’ve been working on with Mario is a baby body. 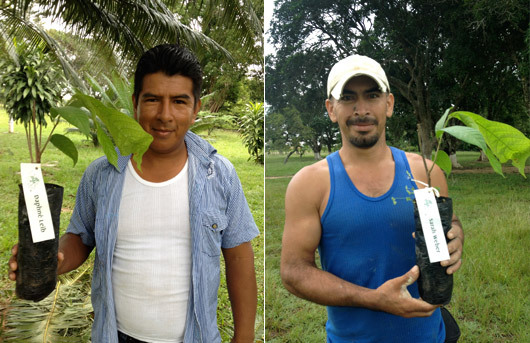 When someone buys a body, Pachamama is planting a tree in the Pachamama project and delivers a tree certificate. Hopefully, we will have bodies in bigger quantity by July. You will then be able to buy them online. The body is still a test and I may change a little my design and illustration but the idea is here. Monita in Bogotá is giving away one body with its tree certificate. SIMPLE: you just need to comment on this post to let us know why you would like to have this body and what do you think about the project. The give away starts today the 7th of June and will end the 15th of June 2013. INFO: Comments can be in any languages. You can participate from everywhere in the world and it will be sent to you for free. 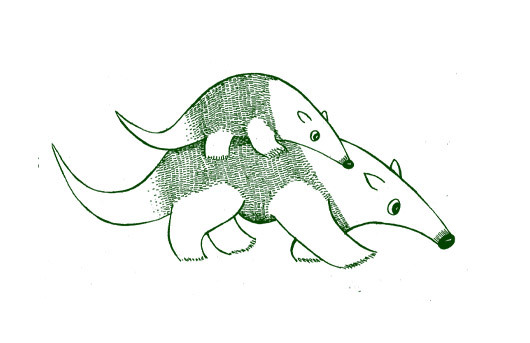 For your information, the anteater is living in the llanos, where Pachamama has its project. By helping the biodiversity in this region, we help those species to survive. Quoi de mieux pour commencer dans la vie ! C’est un magnifique engagement que de savoir qu’à l’autre bout de la planète un arbre grandit et vit au même rythme que mon bébé (dont la naissance est prévue pour début aout). Je m’imagine déjà lui raconter l’histoire quand il sera un peu plus grand, l’impliquer dans le projet… Et aller un jour ensemble sur les terres de son arbre ! 100è post déjà ?!!! waouh ! De plus, toutes mes copines sont enceintes, alors, je veux bien en acheter plein !!!! A tres VIIIIIIIIIIIIIITe à Bogota !